Due to the partial government shutdown, the National Maritime Center (NMC) and all Regional Exam Centers (RECs) are closed until further notice.Customer walk-in service is suspended. Examinations and other REC appointments are cancelled, and REC appointment calendars are closed. Applications may continue to be e-mailed or mailed in and will be processed when the shutdown is over.The following limited operations will be maintained:The Customer Service Center call center is open from 8:00 a.m. to 6:00 p.m. EST, Monday through Friday. 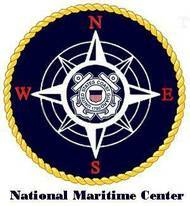 The National Maritime Center (NMC) issued a notice stating it is closed due to the government shutdown. The NMC said it is authorized to maintain a small cadre of personnel to support national defense-related credentialing issues. Maintain the Customer Service Center call center: 1-888-IASKNMC (427-5662) and IASKNMC@uscg.mil will be monitored from 8 a.m. to 6 p.m. EST, Monday through Friday. Regional Examination Center (REC) and other NMC phone/e-mail addresses will not be monitored. Maintain the NMC website, keeping the industry up to date on its status via the website and all list servers. Department of Homeland Security Secretary Jeh Johnson has appointed SUNY Maritime College professor and dean Capt. Ernie Fink to an advisory committee. 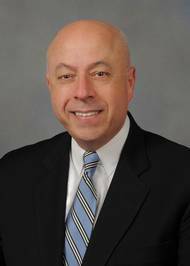 Fink, who is the dean of the college’s maritime education and training department, will serve a three-year term as one of 19 members of Homeland Security’s Merchant Marine Personnel Advisory Committee. 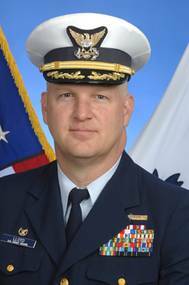 “The six state maritime academy presidents unanimously recommended Capt. Fink for this position. We are honored that his voice will represent our perspective,” said Rear Adm. Michael Alfultis, SUNY Maritime president. The hours of operation for the National Maritime Center Customer Service Center (CSC) are changing, effective Friday, November 1, 21013. The CSC’s new hours, excluding Federal Holidays, will be Monday through Friday from 8:00a.m.EST to 6:00p.m. EST. If you are in need of assistance, and it is outside the hours of operation, send your question or comment via email to IASKNMC@uscg.mil, and a Customer Service Agent will respond to your inquiry within one-two business days. The U.S. Coast Guard's National Maritime Center provides advice on the imapct to its missions in the wake of the Government Shutdown. This notice serves to notify the maritime industry that Government has officially shutdown. The National Maritime Center (NMC) is authorized to maintain a very small cadre of personnel to support National Security emergent issues. Maintain the Customer Service Call Center. 888-IASKNMC will be open and monitored from 0800 until 2000 Eastern Time Monday through Friday. REC and NMC phones will not be monitored. Maintain the website. The U.S. National Maritime Center issued a notice giving precautionary information due to the potential Government shutdown. If the government shutdown occurs, the National Maritime Center (NMC) is authorized to maintain a very small cadre of personnel to support National Security emergent issues. •Push notification via the Website and List Server. •Maintain the Customer Service Call Center. 888-IASKNMC will be open and monitoredfrom 0800 until 2000 Eastern Time Monday through Friday. REC and NMC phones will not be monitored. •Maintain the website. American Waterways Operators (AWO), a 350-member trade association tells members to foster a cooperative relationship with the Coast Guard and to support the mariners, wherever possible. The American Waterways Operators (AWO), the 350-member trade association representing the nation’s tugboat, towboat and barge industry recently released recommended best practices to assist both companies and mariners in navigating the U.S. Coast Guard’s mariner credentialing and medical review process. The American Waterways Operators (AWO), a 350-member trade association representing the nation’s tugboat, towboat and barge industry, has released recommended best practices to assist both companies and mariners in navigating the U.S. Coast Guard’s mariner credentialing and medical review process. AWO compiled the best practices based on feedback from industry members through its Working Group on Mariner Licensing and Medical Standards, as well as input from the Coast Guard’s National Maritime Center (NMC). 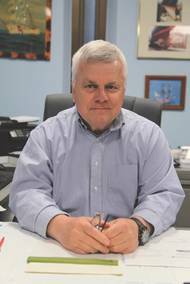 Regulation shapes the workboat industry perhaps more than any other single factor. This regulatory seascape includes a myriad of onerous and ever-changing rules. A ‘SITREP’ on those choppy waters is therefore in order. Last December, the Coast Guard closed the public comment period following its Notice of Proposed Rulemaking (NPRM) requiring nearly all towing vessels to obtain Certificates of Inspection under Subchapter M of CFR 46. The Coast Guard’s Towing Vessel National Center of Expertise (NCE) estimates that there are 5,800 U.S. The Subcommittee on Coast Guard and Maritime Transportation, chaired by U.S. Rep. Frank LoBiondo (R-NJ), held a hearing on Thursday, April 26th, to review the status of regulations by the United States Coast Guard and the Environmental Protection Agency (EPA) and how such regulations impact the maritime industry. “The Subcommittee is meeting today to review regulations affecting the maritime industry. We are interested in how the implementation of these regulations is impacting vessel safety, the flow of commerce through our ports, and the ability to grow jobs in the maritime sector. Florida Maritime Training Academy has announced that they are now part of the U.S. Coast Guard's National Maritime Center's (NMC) Maritime Training and Assessment Data Program (MTAD) that was rolled out earlier this month. "We actually had the opportunity to help the USCG with testing by signing up late last year and enter data through the Homeport. Our last STCW Basic Safety Training class of 2011 had their course completing information at the NMC before they got home after the last day of class,” said Roberto Valletta, Director of Training at Florida Maritime. U.S. Coast Guard's Safety Strategy Incorporates Tightly Focused Training at Carefully Chosen Venues. The U.S. Coast Guard opened seven National Centers of Expertise in 2009, locating three alone on the busy Gulf Coast, The concept of national centers of expertise – or “centers of excellence” – dates back to the 1960s when technology became more advanced and required new skill sets. The U.S. Army, Navy, Air Force and Marine Corps all operate such hubs, as do federal agencies, foreign governments and industries ranging from manufacturing to health care. Mariner Credentialing Program List Server Issues. Recently the National Maritime Center (NMC) experienced some technical difficulties with the Mariner Credentialing Programs (MCP) information List Server service. Our recent consolidation and simplification to the lists required changes to control settings, some of which inadvertently left the Mariner Credentialing Program Information list open allowing all list serve members to post. Currently all three List Server categories are back on line having been assured the control setting issue has been resolved and tested. The National Maritime Center (NMC) has posted a new format of the Deck & Engine Examination Guide on its website. The examination guide has been rewritten to contain information pertinent to USCG administered credential examinations for deck and engine endorsements and associated regulations. As the NMC moves forward, the new format allows the agency to quickly revise the guide in response to regulation and policy changes. Thus, the applicant can be assured of having access to the most up-to-date information concerning exams and the examination process. Florida has a new facility to develop and train Merchant Mariners. 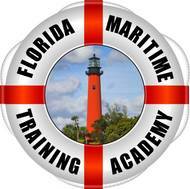 Florida Maritime Training Academy has submitted Basic Safety Training and Able Bodied Seaman courses to USCG National Maritime Center (NMC) for approval and expects to hold classes in the Fall of 2011. The Facility is strategically located next to Indian River Terminals in the Port of Fort Pierce. With access to the waterfront, the school will be able to conduct relevant, “hands-on” training to help establish and reinforce the skills to safety work aboard all types of vessels. When Admiral Robert J. Papp assumed the duties of the 24th Commandant of the U.S. Coast Guard on May 25, 2010, he also served notice that it won’t be business as usual at headquarters. Papp, unlike his three immediate predecessors, apparently has no intention of setting the world on fire by instituting sweeping changes. Inside the Coast Guard, the proverbial round turn is probably good news. For maritime businesses that trudge along under the collective weight of mounting regulatory burdens, an arguably willing partner now resides in the C-suite. For the first time since his dramatic rescue at sea, Captain Richard Phillips of the Maersk Alabama will publicly thank the commanding officer and crew of the USS Bainbridge during a ceremony in Norfolk, Virginia on November 19. The ceremony will take place on the fantail of guided missile cruiser at 2 p.m. The USS Bainbridge will be moored on the downtown Norfolk waterfront. The Maersk container ship was captured by rogue pirates off the coast of Somalia on April 8. Captain Phillips offered himself as a hostage in exchange for the safety of his crew.